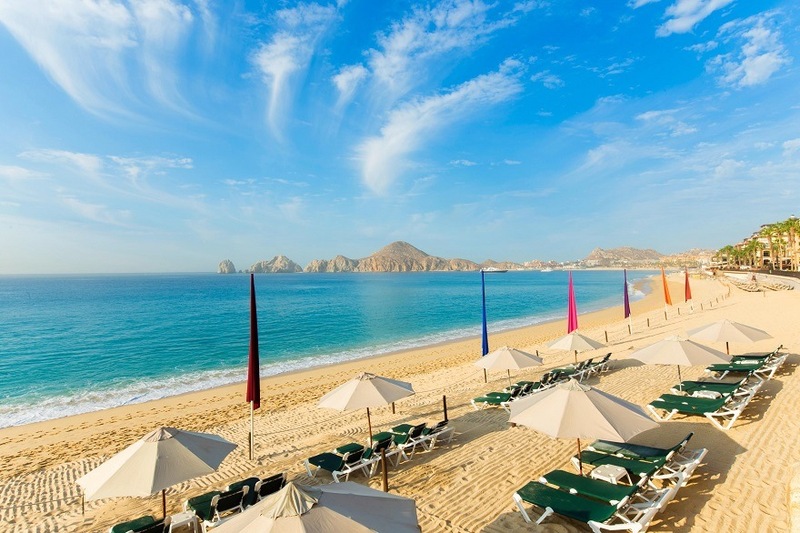 Home » Blog » Blog » Getaway to Villa del Palmar Cabo! 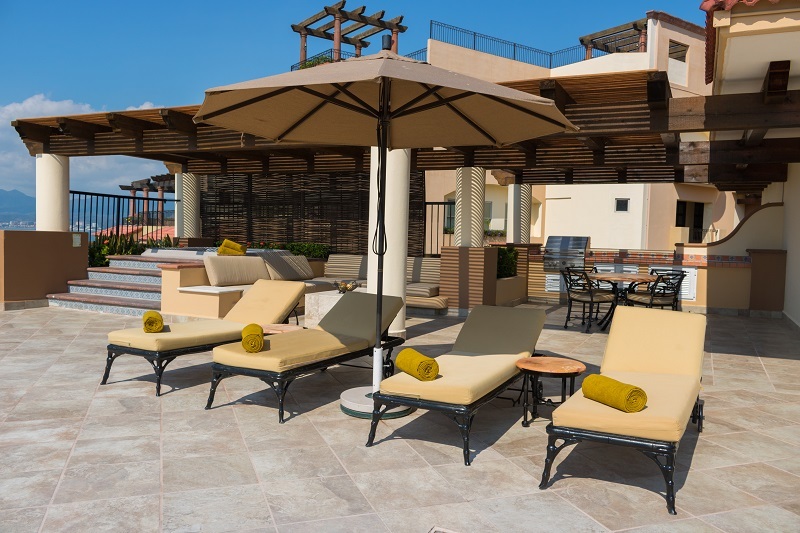 Getaway to Villa del Palmar Cabo! Are you ready to plan an epic getaway to Cabo San Lucas and trying to decide where to stay? Look no further than the exquisite Villa del Palmar Cabo, a stunning oceanfront property that embraces the best that Los Cabos has to offer. The property is elegantly decorated in warm, earth tones and eco-friendly building materials so that it blends in effortlessly with its surroundings. 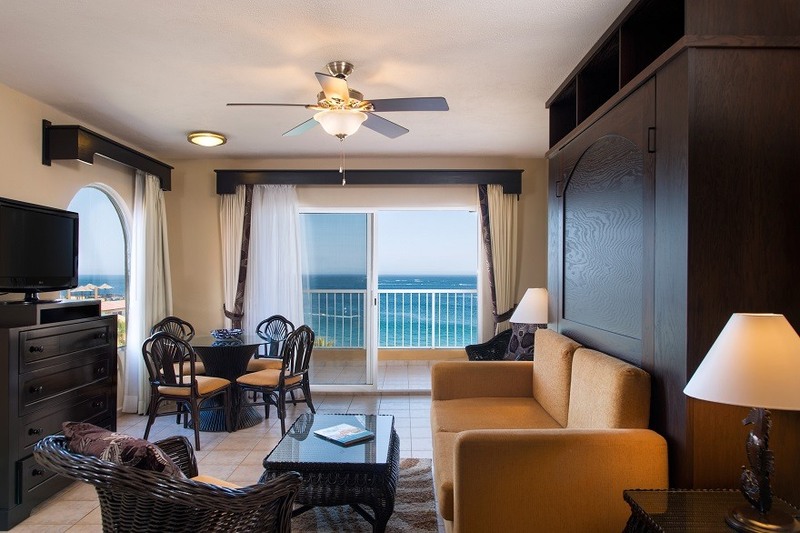 Villa del Palmar Beach Resort & Spa Cabo San Lucas offers Junior Suites, One Bedroom Suites, Two Bedroom Suites and Presidential Three Bedroom Suites. Which Suite is right for you? Is it just you or are you planning a couples getaway? If so, a cozy Junior Suite may be perfect for you. Junior Suites come well equipped with two double beds or one queen-size bed, and the bathroom is finished in elegant Travertine marble tiles. A fully-equipped kitchen, breakfast bar, pull-out sofa bed and balcony or terrace complete the Junior Suite. Want a little more room to stretch out? 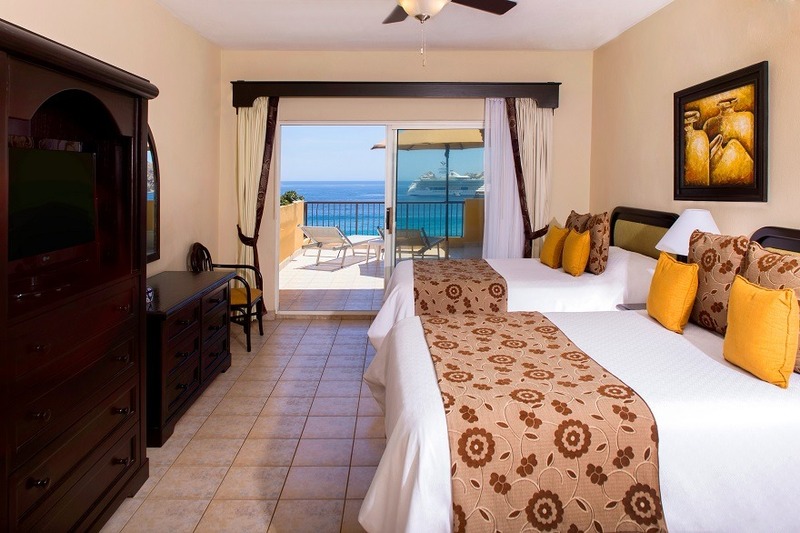 Our spacious Villa del Palmar Cabo One Bedroom Suites are nearly 900 square feet in size and the master bedroom includes a king-size bed and en suite bathroom. Two full bathrooms with bathtubs and marble tiled showers, fully equipped kitchen, dining room and a balcony or terrace complete the One Bedroom Suite. Need even more space? 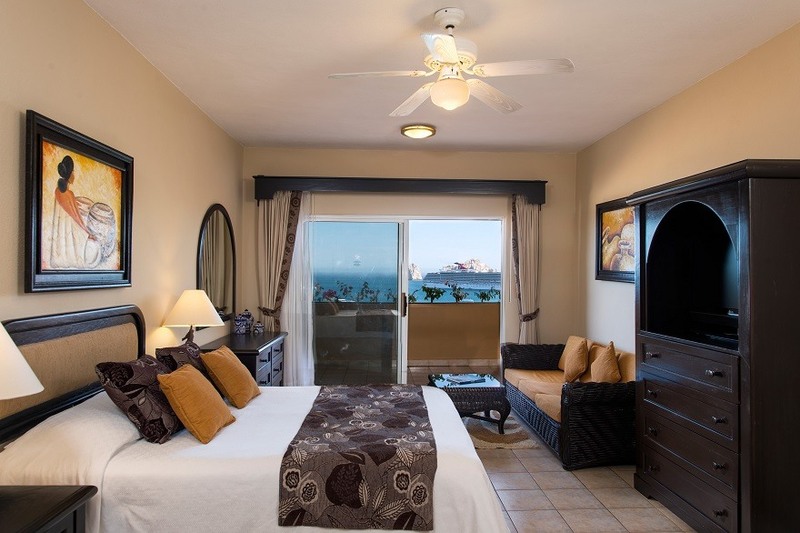 The Villa del Palmar Cabo Two Bedroom Suites feature two master bedrooms with ensuite bathrooms. A comfy pull-out living room sofa bed, fully equipped kitchen, airy dining area and 3 full bathrooms create plenty of space for everybody. 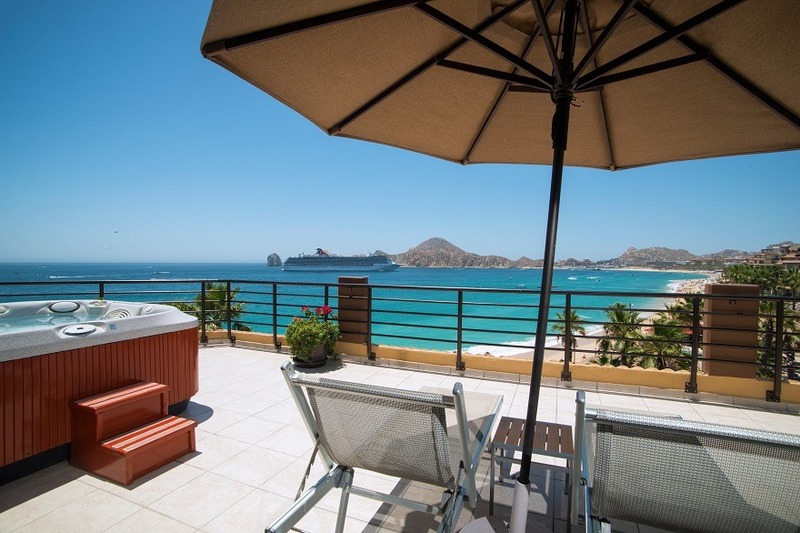 There is no better place to enjoy beautiful ocean views from your private terrace at Villa del Palmar Cabo. Are you really wanting to splurge for your dream vacation? If so, why not book our Villa del Palmar Cabo Presidential Three Bedroom Suite and experience the best that Villa Palmar Cabo has to offer. With an expansive 2500 square feet, the Presidential Three Bedroom Suite has three master bedrooms, all with king or queen-sized beds and ensuite bathrooms luxuriously finished with Travertine marble accents and sunken tubs. The living room includes a pull-out sofa bed, an entertainment center, and several comfortable areas perfect for relaxation and family moments. A fully equipped kitchen, dining area that comfortably seats up to 8 people, and a large, private terrace with patio furniture complete this incredible suite. In the mood to pamper and destress? 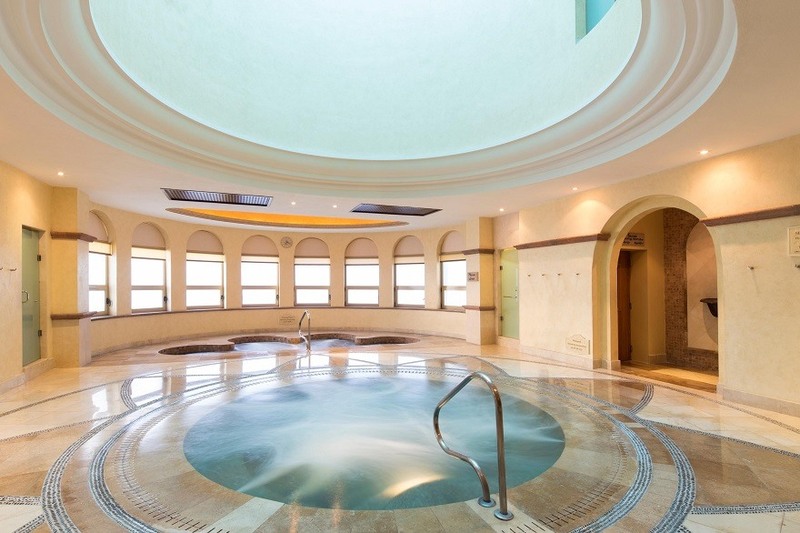 Head to the expansive 31,000 square foot Villa del Palmar Cabo Desert Spa for some you time. When you’re ready to get in shape, check out the fully-equipped fitness center and drop the little ones off at the entertaining Kids Club where they can have some kid fun. Villa del Palmar Cabo offers an endless amount of activities and in suite services, and there are several fine dining restaurants onsite for whatever cuisine tempts your palate. With the best location in Cabo located right on Medano Beach with stunning views of Land’s End and the El Arco rock formation, Villa del Palmar Cabo is the vacation resort you have been dreaming of. Don’t hesitate and make your reservation today. 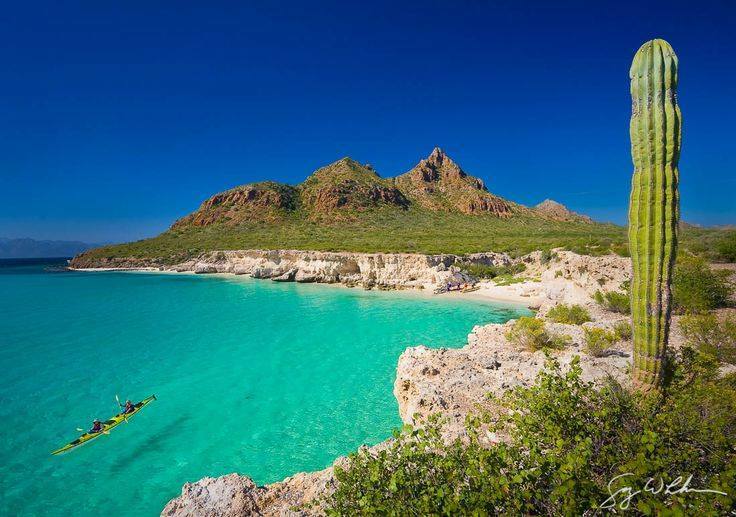 It is your moment to enjoy the natural beauty and allure of Cabo San Lucas – you are worth it!